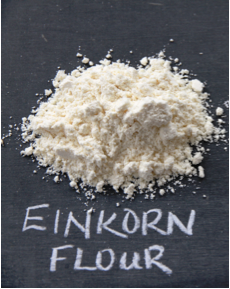 What do you think of Einkorn flour (http://jovialfoods.com/einkorn/)? It is marketed as being the “original” wheat least or not processed. I personally find it much easier to digest — it is so delicious and light, but I wanted to double check with you. Dear Divya: Eikorn flour is a great flour. It is very healthy, it is tasty, and I personally have adopted it in my diet. What’s even better is if you can get a grain grinder and pulverize the Eikorn into flour in your own home. You will taste the difference even better! I find your blog has a lot of useful information on different aspects of health. I liked th one esp. about Vegan protein Powder. I do have a question regarding that. Could the protein powder, be used with say banana, if one has sweet tooth? Namaste to you and your family! Thank you very much for sharing your knowledge and expertise in this life-saving venture. I am just starting your SVA class with Divya at the Bhakti Center in New York. You had a wonderful “virtual” conference on Sun. Sept. 11, 2016. I was able to see and speak with you, but I was a bit tired, so this question did not come to me until today at work where I am typing this. You say there is prana (energy/life force) in the foods we eat and to preserve that energy, we should cook fresh every day and not have leftovers.I understand this concept and agree with it, but what I was truly wondering about is: how food can have energy or life if it has been removed from where it was growing. Isn’t food considered “dead” once it is plucked, picked, cut, etc. from the original plant, tree, bush, etc? I understand that there is some life there, because if food is kept long enough, it will spoil In addition, we would not be able to survive even though we are eating. picked and consumed is best, otherwise as fresh as possible. Life is an ongoing process, nothing can exist in its perfect state at any time, this is the nature of transient life. It is not a bad thing, it is just how it is. And we do our best to get the pranic charge and definitely avoid left-over or old or pranically dead edibles. Hope this helps. Thank you. Read my blogs and take my courses. I offer a lot of online courses. Yes you can use the protein powder with bananas(try to eat only the small ones, they are better for health), or with any other fruits also they go great.